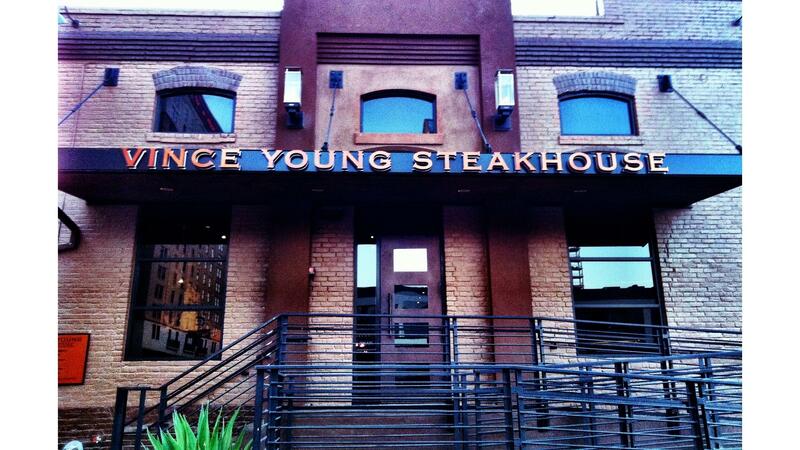 Rent Vince Young Steakhouse | Corporate Events | Wedding Locations, Event Spaces and Party Venues. Vince Young Steakhouse is a chic, inviting and locally owned Austin fine dining restaurant serving the finest steaks, wines and desserts in a downtown lively atmosphere with exceptional service. At Vince Young Steakhouse we can accommodate your of ten to two hundred in a dining experience that your guests are sure to enjoy. We offer multiple options from our semi-private dining room to our two closed off, private rooms that accommodate up to twenty-five for your party or business meeting.